The CineAlta 4K Three Lens Kit includes the 20mm, the 25mm and the 135mm cinema prime lenses fromSony. Each lens has a fast maximum aperture of T2, with a circular 9 blade iris. 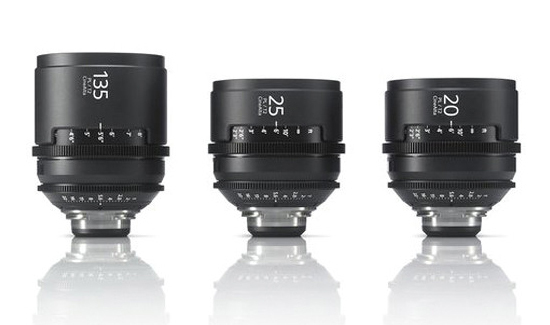 These lenses are designed for Sony's CineAlta 4K cameras, including the PMW-F5 and F55.